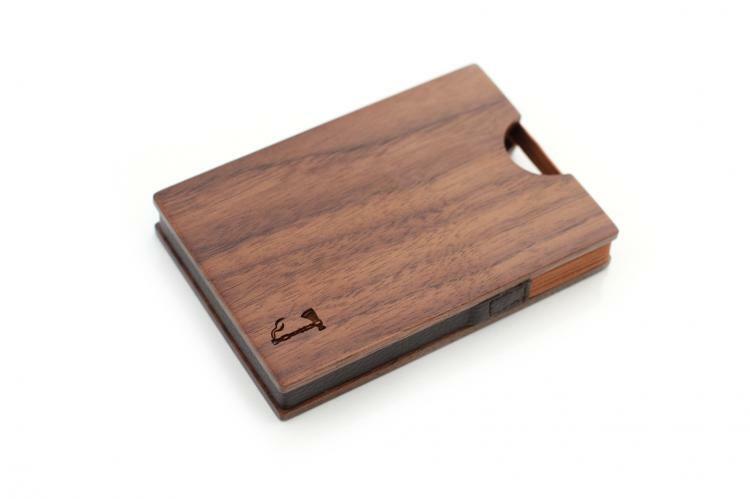 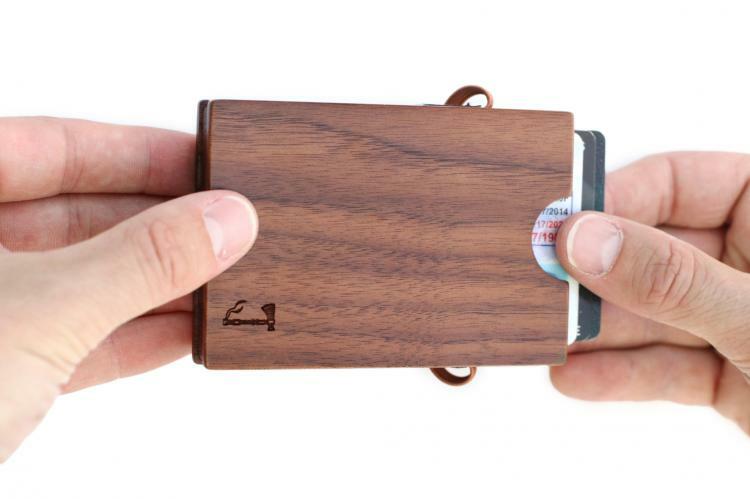 This wooden wallet is a hard case wallet that allows you to store up to 8 credit or ID cards along with some cash, and is so classy and wooden that it would make Ron Swanson blush. 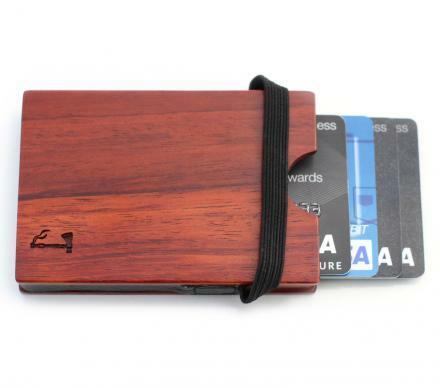 An elastic binder folds over the opening where your cards and cash go in as to keep them secured in place, when you want to access your wallet, simply unsnap the binder. The Slim Timber wooden wallet not only gives you a classy style that's sure to grab the attention of anyone that sees it, but it also backs it up with a dependable structure and complete security for holding your essentials. 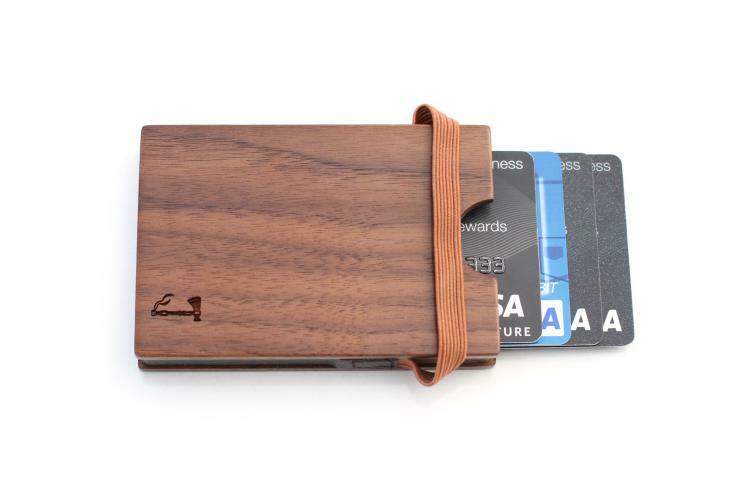 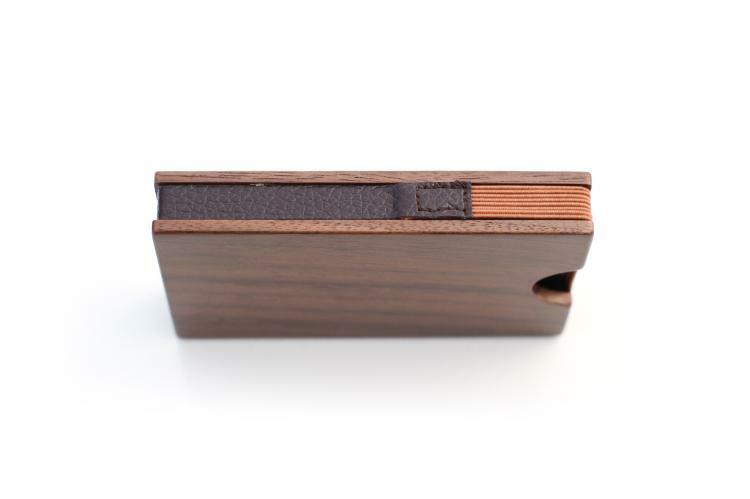 Designed and created by a handy couple in Idaho, the Slim Timber wooden wallets are handcrafted using genuine rosewood or walnut wood, leather, and elastic. 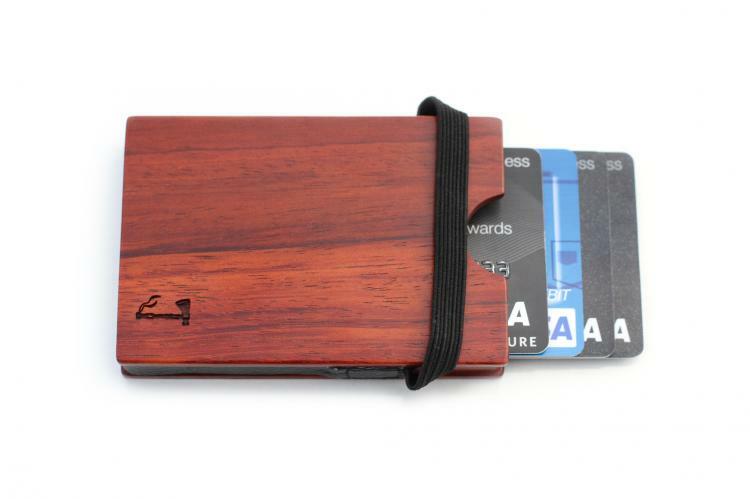 The wood grain on each wallet will very beautifully with each unique piece seeing as it's made with real wood. 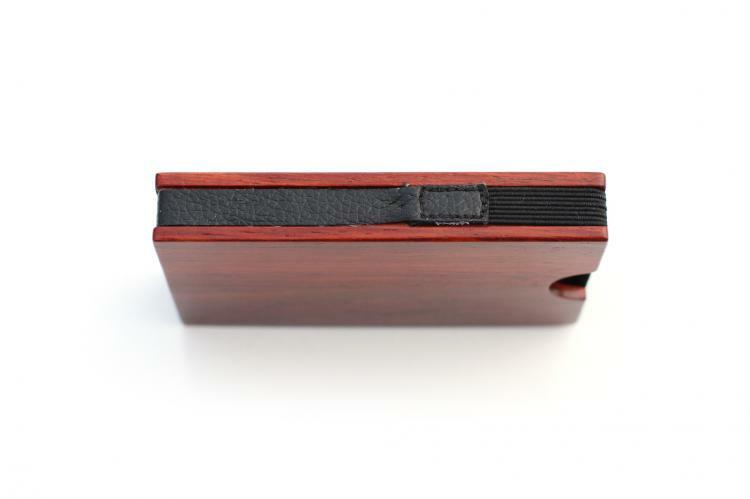 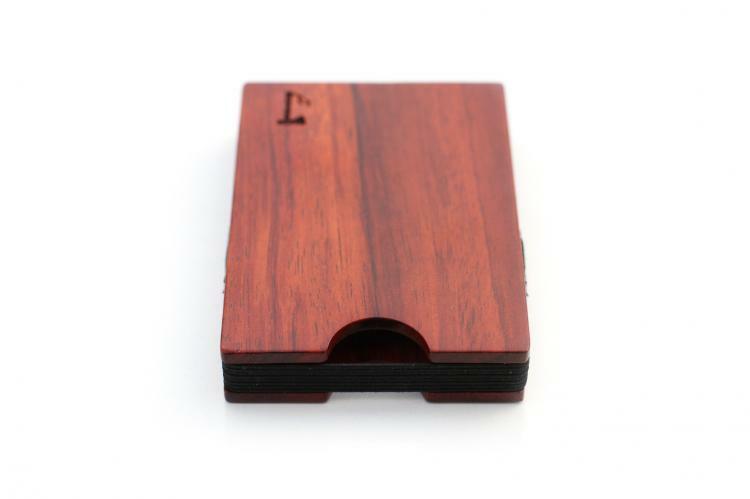 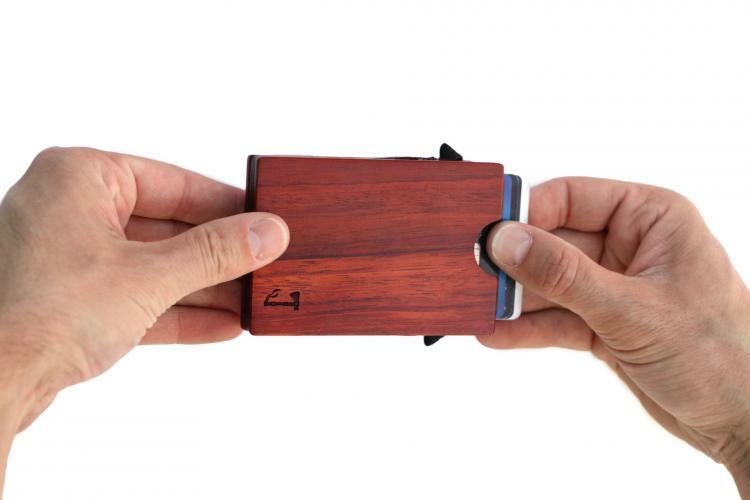 The wooden wallet is still quite slim and will easily fit into either your front or rear pockets, allows for easy card removal with built in thumb grooves, works great for carrying cash, credit cards, ID cards, or even just as a business card holder, and measures 3.63 inches long x 2.5 inches wide x 0.56 inches thick. 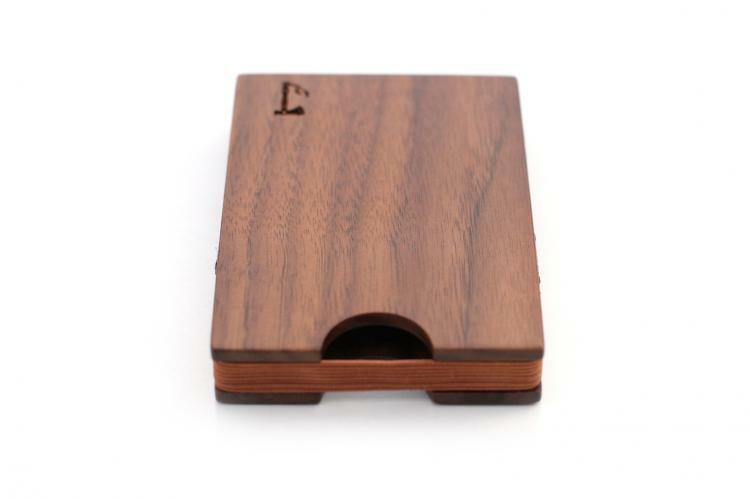 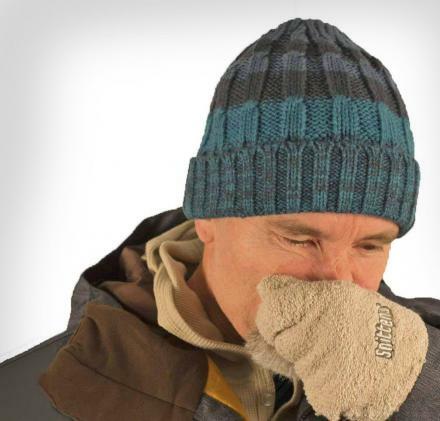 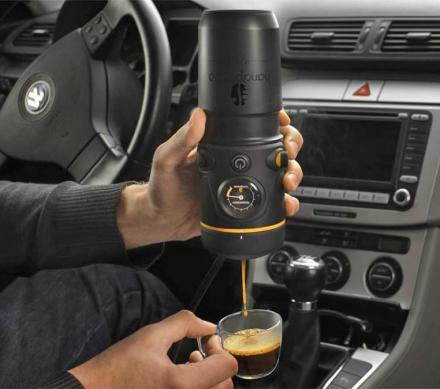 You can choose between rosewood and walnut wood using the dropdown on the 'Buy Now' Link.